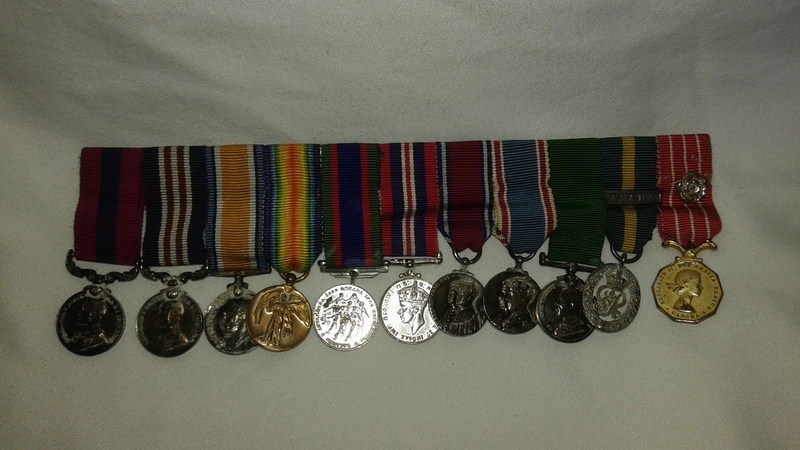 This is a great collection of material, all belonging to Gordon Guthrie Keith Holder DCM, MM, ED. Holder's career began in 1910 and spanned all the way to the 60's. He finished up as a Lieutenant Colonel. 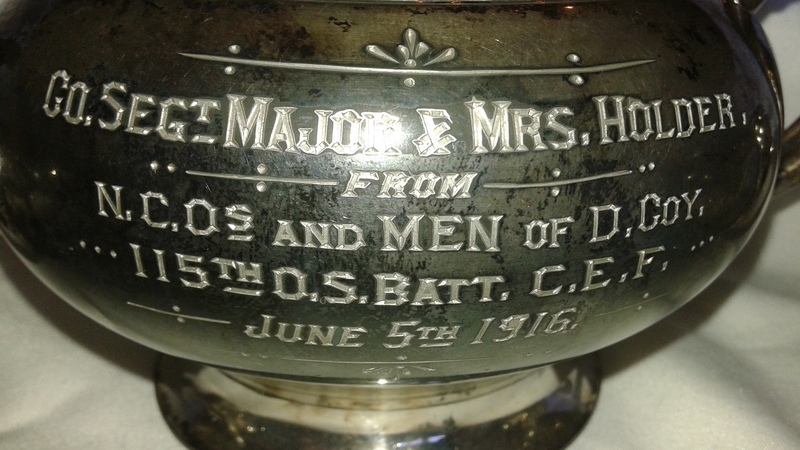 The group consists of a miniature medal group containing all his medals, a silver plate 3 piece tea set with the emblem of the 115th Battalion and a dedication from the soldier's in his unit and his 1920's blue patrol uniform and pants. The pants bare his name. 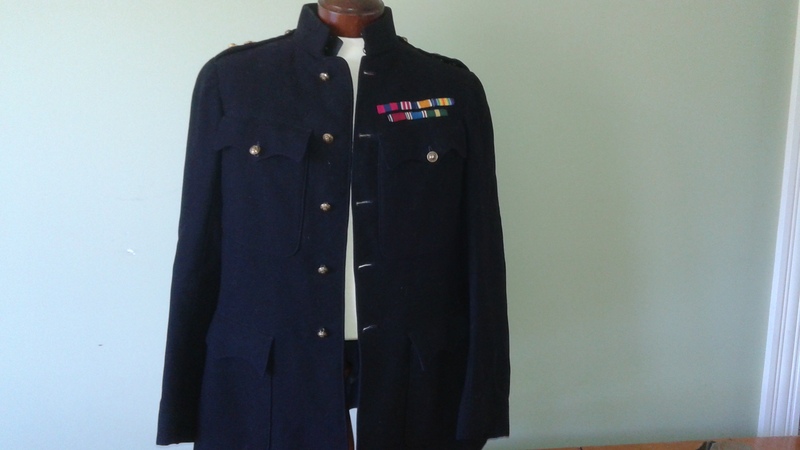 Uniform buttons are those of the 62nd Saint John Fusiliers in which he was a Lieut Colonel. 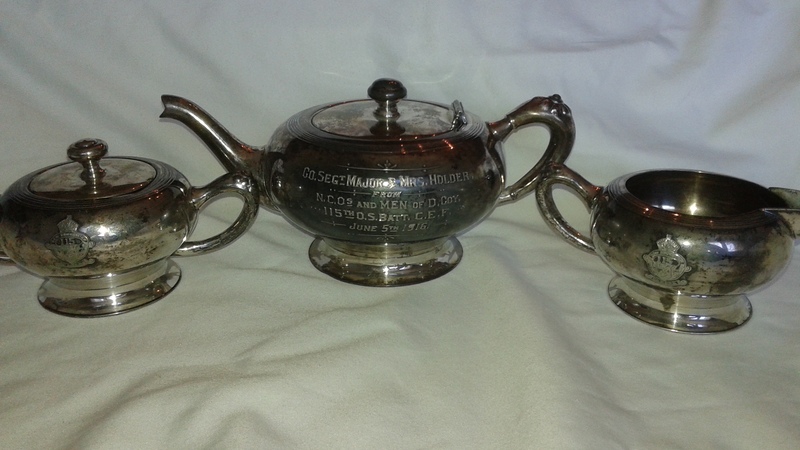 The tea set and mini medal group were sourced from the family. The tunic and pants were found in New Brunswick. Also included is Holder's service file. A very unique grouping to a proud and long serving New Brunswicker.